Ever heard the expression, “You need experience to gain experience”? If you’re thinking of applying for legal work experience or legal graduate jobs in the future, pro bono volunteering is a perfect way to diversify your CV. It demonstrates a commitment to pursing a legal career by taking your legal interest outside of academics. Volunteer work also demonstrates to an employer that you can be compassionate and willing to spare your free time to help other people. Pro bono work is valuable experience to gain whilst at university. When potential employers consider your CV, they will expect to see a range of activities that display skill development and an active interest in law. Therefore, it is important to find the time whilst at university to search for the right experience- it will also help illustrate to employers that you managed your time effectively at university. A few days work experience on your CV may not be enough to secure an interview with a large international law firm. Therefore, seeking a range of legal work experience will show a genuine and established interest in the legal sector. It will also provide a deeper knowledge of how the legal processes outside of academics and in real practice. The Personal Support unit is a charity that assists members of the public who need to represent themselves in court. 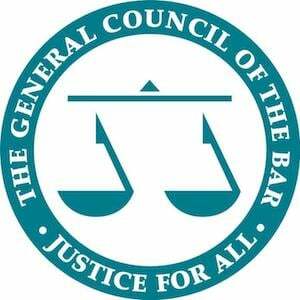 Circumstances such as the continued cuts to legal aid means that many people are forced to face court alone. This is where you can step in as a volunteer and gain some highly relevant experience. Volunteering for a charity such as the Personal Support unit will be an invaluable addition to your CV as it will not only expose you to the court and its processes, but it will also help you to advance your communication skills by interacting with genuine clients. You will be able to use your experience as genuine examples of how you have utilised and demonstrated key skills like effective communication, problem solving and adaptability. Another opportunity could include volunteering for your local Citizens advice centre. It is worth Citizens Advice and enquiring whether they have any volunteer positions available. The Citizens Advice is a common way to gain pro bono volunteer work as the have offices all over the country, thus this is an easy and effective way to stand out to employers. Citizens Advice also have a number of volunteer roles available, so you will be able find a role that fits your schedule and your requirements. A few examples of volunteer positions may include advice roles, receptionist roles, administrative roles and telephone assessors. Volunteering for Citizens Advice would encourage the development of your skill set, and demonstrates your ability to work flexibly alongside your studies. Thus again providing an excellent topic of conversation in any future interviews. Several universities also now run student led pro bono law clinics. This is also an excellent way to build up a strong CV. Student led law clinics are supervised by qualified lawyers but allow law students to interact and assist real clients and real cases. This experience may sometimes include contacting and interviewing clients, managing client files and sometimes even assisting litigation. You can use your experience in your university’s law clinic to show employers how you have utilised key skills needed to be a lawyer. Why Will It Help You? A key advantage of carrying out pro bono volunteering is being able to convey to prospective employers that you already have an understanding of client confidentiality. This is an important part of the solicitor’s code of conduct; being able to demonstrate a real life application of your understanding of confidentiality and data protection shows that you already understand of an essential part of the Solicitor’s code of conduct in practice. Crucially, whilst pro bono volunteering may be a great method to gain experience for your legal applications, it’s also a brilliant way to network and meet new people. Law firms may sometimes require members of staff to undertake pro bono work, which makes volunteering the perfect opportunity to make contacts from local law firms. Making contact through this type of work can be an invaluable asset to bring up in interviews, as it will create a clear link to the firm and its staff. Networking is a skill, and the more you practice, the easier it will become to make those connections.